Irma, which made landfall in the Florida Keys as a Category 4 hurricane Sunday, downed power lines and trees and brought dangerous floodwaters to the state before being downgraded to a tropical storm Monday morning. Irma's path: The storm currently has sustained winds of 65 mph and gusts of more than 90 mph. It's now headed in the direction of Georgia, Alabama, Tennessee, and the Carolinas. At least seven people in Florida, two in Georgia and one in South Carolina have been killed by Irma, per the AP. The death toll in the Caribbean has risen to 37. 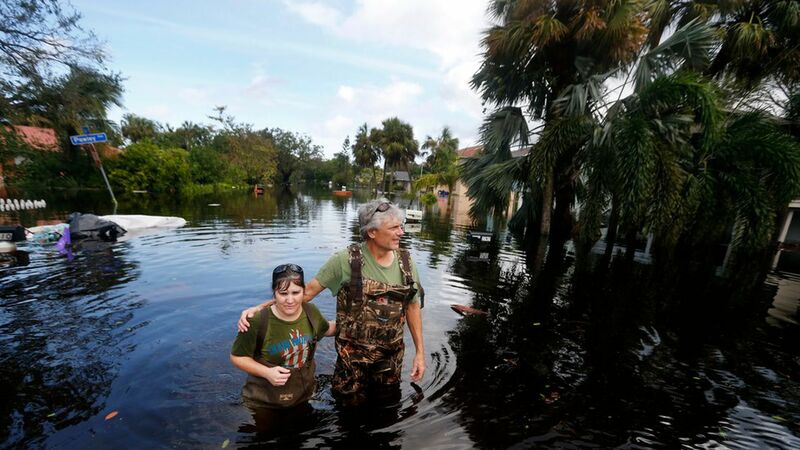 More than 7 million people in Florida have lost power, per AP. FEMA chief Brock Long added that some areas won't have electricity for weeks. Jacksonville, FL, the largest U.S. city geographically, experienced a record storm surge and was pummeled by severe flash flooding Monday afternoon. Mayor Charlie Latham of Jacksonville Beach told CNN that about 90% of people in the city had lost power. "I've never seen anything like it," he said. A flash flood emergency was issued for Charleston, South Carolina, and a tornado watch for southern South Carolina and coastal Georgia has been extended to 10 p.m. Monday. As of 2:30 pm, more than 923,000 customers lost power in Georgia, according to Georgia Emergency Management and DHS. Tampa Mayor Bob Buckhorn, who said Sunday that the city was soon to get "punched in the face," said Monday that Tampa was spared Irma's worst. More than 7 million evacuated as Irma hits Southeast U.S.
DHS Advisor: It may take weeks before power is restored to Florida. Harvey likely to be second-costliest U.S. natural disaster.